This is something that was taught to children in the Chumash community. Everybody did this, everybody put a leaf in one gallon of water everyday to maintain a healthy and balanced state. White Sage, Salvia, grows along California and Northern Mexcico Pacific Coastal foothills and mountains to the inland valleys. 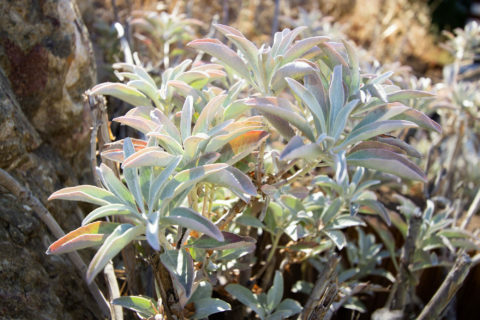 This plant is used by Chumash people as a daily tea, simply put one leaf in your day’s water, a single bottle refilled throughout the day is fine. It is used to treat 1 gallon over one day, or 24 hours. Simply drinking your water with one white sage leaf in it, is practicing the simplest form of personal wellness in a Chumash community. In a community everybody had to be well to be their best for the overall health of their family and community. It was customary to keep yourself balanced and well. 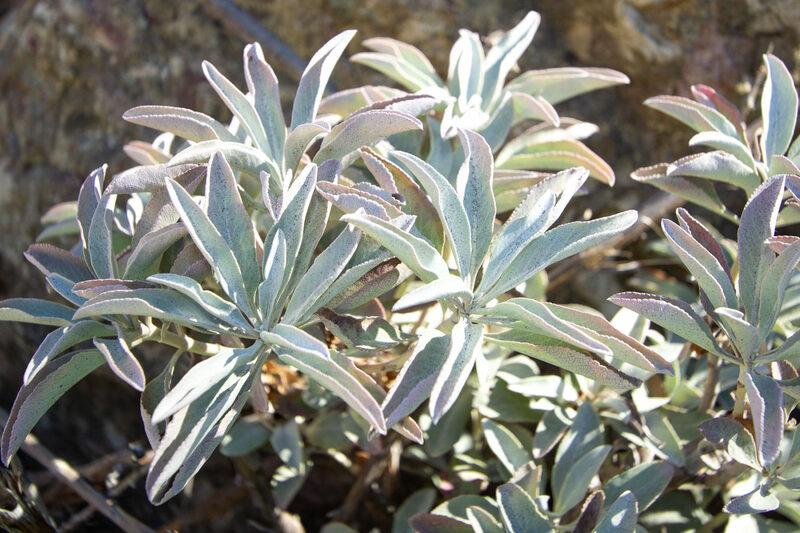 Drinking white sage tea everyday is known as “daily medicine” for your spirit and personal well being. This tradition is how the Chumash people went about with a good attitude, kept their positive energy and performed their role. Everybody had to be well and nobody went without. The plant used as a daily tea is purifying, it helps keep you centered and knowing right from wrong without confusion, it is said to help keep you from being tricked or fooled because your instincts can be heard. 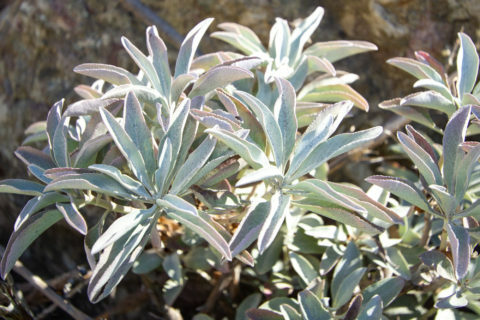 Gathering sage is something that is done for the spiritual health and well being of ourselves or another. 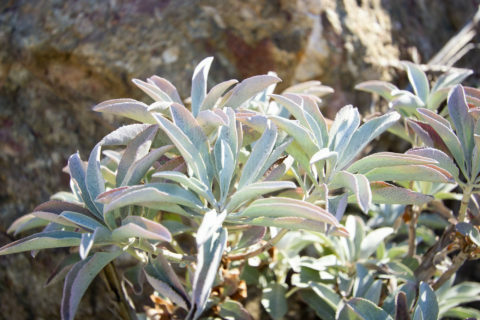 In the Chumash tradition gathering white sage for medicinal purposes would include some ceremony. In the area you’re going to gather, remove your shoes to connect with the earth. Face north and acknowledge your god, face south and acknowledge your god and your spirit, face east and then west. A song may be sang, the Chumash Welcome Song using a traditional or hand-made instrument or anther song. Go about gathering plants in your best energy and connectedness with your true nature. 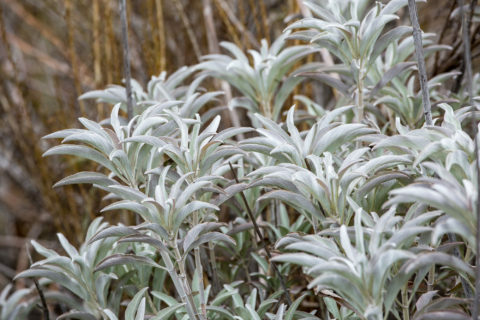 For medicinal purposes white sage should be gathered in a traditional way, it can be gathered for you, as long as it was gathered for medicinal purposes in a traditional way. To gather white sage for medicine you go on a medicine walk, or a hike where the plant grows. Be in the moment, enjoy being out in nature doing something so powerful for yourself and listen to your inner voice. You will find what you’re looking for. A medicine person would sit and meditate and wait for a hawk to show them the direction to hike. 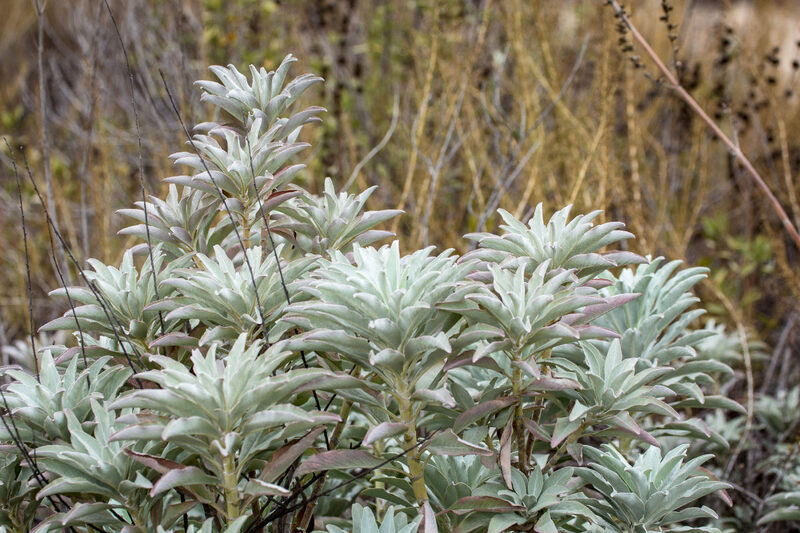 White sage grows in areas, find some and you’ll find more. Look around feel the plants find the one that’s standing extra tall, looking extra vibrant showing it’s energy. Touch it, every leaf. Without stopping your breath, calmly breathing through your nose, you break off a stalk. If you stop breathing, the stalk won’t break, you’ll have to twist it and pull on it, at which point, you should just try again. The stalk will break at a definite point, where it was supposed to break. 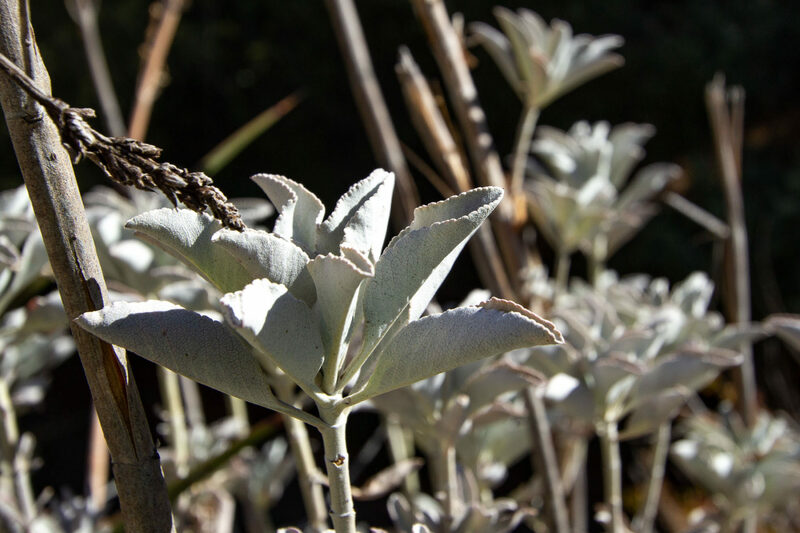 Turn this upside down and put the broken end off in your mouth and breath through your nose a few times, you will be immersed in the plant’s aroma and feel a hit of the energy. Do this for each stalk you harvest.